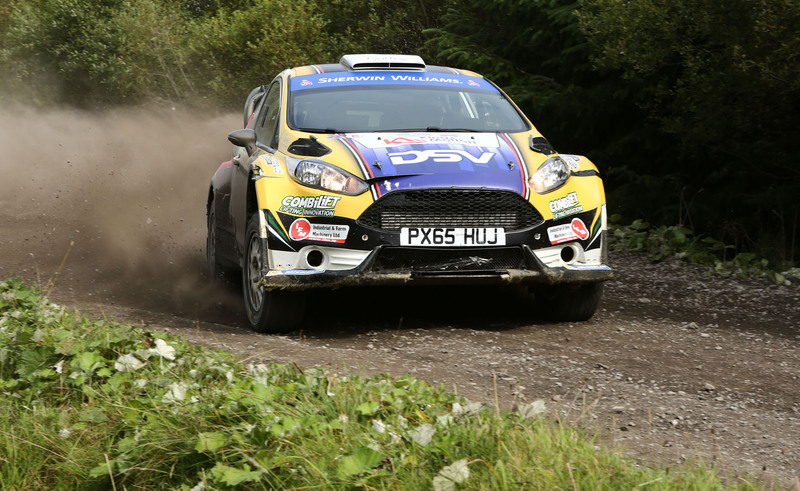 Home / News / Moffett Wins Lakeland Stages Rally Despite Last Minute Dramas! Moffett and navigator Stephen Thornton had to push their car to the final control and were four minutes late, incurring 40 seconds worth of road penalties. However, luck was on their side as they had extended their lead to 41 seconds after the final stage. That meant the crew won the rally in their Fiesta R5 by just one second! 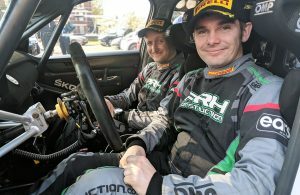 In a final twist, event organisers received a protest alleging that the winning crew had received ‘outside assistance’ to get to the final time control – something that isn’t permitted within rally regulations. However, after much deliberations, Moffett and Thornton were eventually confirmed as the winners around 11pm. The event hosted round five of the McGrady Insurance N.I. Rally Championship and it was Desi Henry who arrived home as the series’ top competitor in second overall. 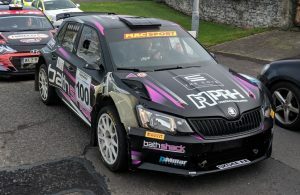 He and Liam Moynihan nabbed second overall after a push on the final stage saw them displace Vivian Hamill and Andrew Grennan from the runner-up position. Henry’s increased pace didn’t come without its dramas as a heavy landing over one of the jumps resulted in some technical troubles. Cathan McCourt and Barry McNulty finished fourth in their Fiesta on a day where McCourt was also trying to get used to his car, while Adrian Hetherington and Gary Nolan successfully brought their battle-scarred Corolla WRC to the finish in fifth. Alan Smyth and Mac Kierans secured seventh overall in their Evo X while N.I. Championship hopeful, Alan Carmichael, ended the day with a smile on his face after pushing hard over the big jumps on stage six. Stephen McCann and Kaine Trainor sealed ninth overall in their Fiesta R5 after a “much cleaner run” over the second loop of stages while Niall Henry and Damien Duffin took their Citroen DS3 R5 into 10th overall despite breaking his power-steering on the final stage. Father and son, Jordan and Paul Hone, completed the top three 2WD finishers after a fantastic drive in their Opel Adam R2. 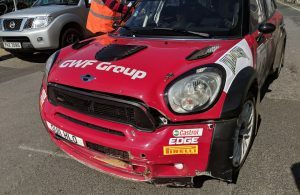 They fended off the hard-charging Oran Donnelly and Mo Downey who were lucky to escape unscathed after a stage one brush with the scenery. Other retirements during the final loop of stages included Paul McCann who had two punctures and not enough spares. The same drama befell Colm McFall who got a puncture on stage five and then another one on stage six, putting him out of the rally. Top two-wheel drive competitor, Shane McGirr, also retired during the final loop of stages while Barry McKenna, who rejoined the event under ‘Rally 2’ after his stage one excursion, lost an argument with a tree stump during the second loop but was lucky to escape any major damage. The penultimate round of the McGrady Insurance MSA N.I. Rally Championship takes competitors to Omagh for the Bushwhacker Rally on 22 September. More details can be found on www.nirallychampionship.com. Full results available from www.rallyscore.net.